Balanced Books has been customizing payroll packages for hundreds of clients throughout Omaha, Nebraska and beyond. As your business partner, our main goal is to provide you with personalized services, fully integrated payroll solutions, and extremely competitive pricing. Whether your organization is big or small, Balanced Books has a solution for you! We offer comprehensive payroll services tailored to your needs. Financial and administrative work can add unnecessary stress to your life. We provide relief from payroll headaches and offer payroll solutions for clients looking to outsource their payroll processing. Enjoy the peace of mind knowing that everything is being handled for you. 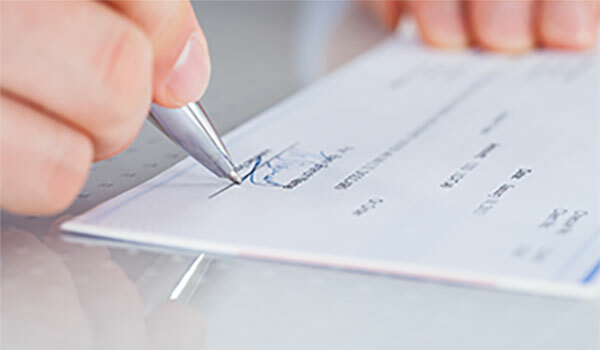 We’ll take care of your company’s direct deposits and electronic or printed checks, as well as create detailed payroll reports for your convenience. Businesses spend an average of 12 days/year performing payroll functions that could be spent generating sales. We offer payroll solutions that enable you to spend time running your company. Our Comprehensive Payroll Service takes care of all of the payroll processing for you. You get your payroll checks prepared and printed on-time with worry free IRS and State tax reporting. Financial and administrative work can add unnecessary stress to your life. We provide relief from payroll headaches and offer payroll solutions for clients looking to outsource their payroll processing. Don’t entrust your quarterly payroll tax returns to just anyone! Here at Balanced Books, we make sure your business account is always taken care of with quarterly returns done the right way. We strives to create and build long-lasting business relationships with our clients to simplify your tasks, and to save you and your business, time and money.